It's been a while since I've checked out a release in the Crosstown Rebels Get Lost series of DJ mixed compilations. 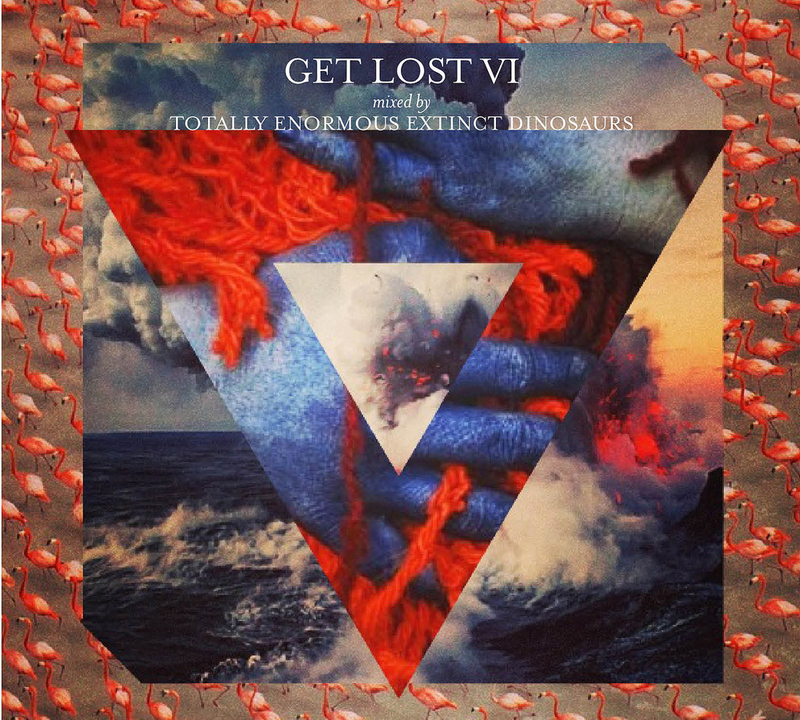 This new one, Get Lost VI, mixed by Totally Enormous Extinct Dinosaurs first caught my attention through it's somewhat eclectic track listing. It quite wasn't what I expected from TEED producer Orlando Higginbottom and it's the most leftfield release from Damian Lazarus' label in recent memory. Disc one is a noticeably experimental affair - there are tracks from Gold Panda and LFO for a start. Higginbottom crafts a progressive but upbeat and inclusive mix. Early on a Roman Flugel mix of Valentina's 'Wolves' is a slice of minimal pop - wobbling bass beats and drums snapping whilst spectral vocals are draped across emotive pads. Shortly after Axel Bowman's 'Klinnsmann' is kicking things up a notch whilst continuing to deliver big vocal hooks and tight techno production values. Matthias Zimmerman's heaving, percussive 'Vicente' is a chaotic envelope of sounds that wrap around the song's rhythms in a style not too far from Gold Panda's own and Dave Aju's 'Anyway' is just about as funky and off the wall as he can be. Both are funky and glorious fun. The first disc ends with the ambient progressive tribal rhythms of 'Bakatribe' by Albinos before Asa-Chung & Junray's absolutely classic 'Hana'. If TEED had just put out this one disc it would be quite the album. Deutsche Wertarbeit's opener 'Auf Eneglsflugein' is a spectacular choral ambient tech-electro masterpiece which starts soft and ends barking mad - full of synthesised vocals and the skippy techno beats of Underground Resistence's track that follows. A number of retro- techno and garage influenced tracks come along, some hitting the right level of echo and fear, such as 'The Click' by Breach & Dark Sky, but some falling short. The TEED original track 'Lion, The Lion', recorded with Eats Everything, is at turns vicious then light and fluffy but feels like little more than a DJ tool compared to some of the tracks here. Ame's remix of Tiga highlights the fact that 'Plush' is one of his strongest, most assertive tracks in some time. Future Four's 'Into Orbit' is the sound of a four-year-old hitting every key of a keyboard and every drum-pad at once and somehow creating a monstrously entertaining tune. Things then go a little off the boil with some more conventional bangers from Jamie Jones, Subb-an and Tom Trago and the dull and lifeless 'Time Reveals' by Bernard Badie. Old school piano house influenced track 'Troubled World' from an unknown artist closes things out, the pace of the album ruffled but it's a weird, disconcerting and somewhat brilliant end to the album. Basically TEED's Get Lost VI is pretty great, but it's also pretty long. Dig deep and hold on. Get Lost VI is out next week through Crosstown Rebels, available to pre-order from Amazon.co.uk on CD and MP3 [affiliate links]. Jamie Jones' album Don't You Remember The Future was reviewed on BlackPlastic.co.uk two years ago and it felt a bit like drinking Diet Coke when we'd rather go all out and fill our gut with The Real Thing. 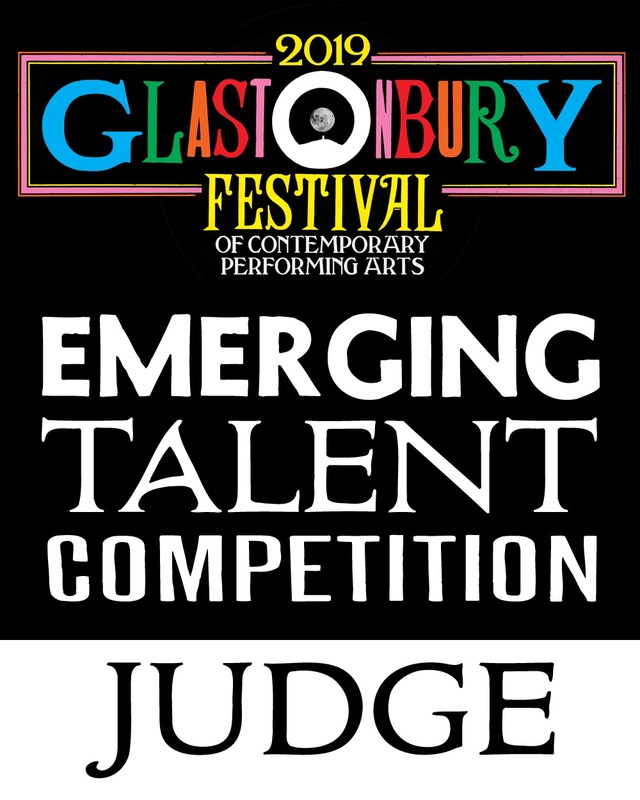 It's an accusation you could level at a fair number of contemporary artists but it's a fair one - who wants to settle for 'not quite as good as...'? Jones' Fabric album is a bit of a surprise. Firstly because it isn't the fairly minimal tech I've come to expect from artists associated with Crosstown Rebels, the label Jamie calls home. But even more surprising is that fact that it is the most easy-going, celebratory Fabric albums in ages. But this isn't a thinking person's mix - the track listing is pretty obvious - but it's a great collection of disco and house cuts to soundtrack a party to. There is a mixture of newer and older records on Fabric 59 but Jamie clearly isn't afraid to be obvious. There was a time when finding a new mix album without Felix Da Housecat on it would be more difficult than with. Despite that Jones drops 'Madame Hollywood', from Felix's defining Kittens and Thee Glitz LP, immediately before plunging into the reverb heavy 'Body Shiver' by Waifs & Strays. Thankfully it has been long enough since Felix mania that it just feels great to hear it again. Similarly Metronomy's mix Sebastien Tellier's 'La Ritournelle, shows up in the mix early on. Fabric 59 is at its best in the closing third. Crazy P's 'Open For Service' is bonkers disco that feels every bit as classic as it aims to, with the most glamorously over the top chorus I've heard in ages. Holy Ghost's mix of 'Goblin City' by Panthers is the show stealer though. It's another track that has been around for an age but it never seems to have quite as much recognition as it deserves. If you haven't heard it you need to and it is here, at eight-minutes long, in pretty much full form. It melds house and disco like champagne and liquid gold, the inevitable guitar solo peak and subsequent break being one of the best things to feature on any Fabric album. The pace is kept up through to the end. On Oppenheimer Analysis' 'The Devil's Dancers' Jones drops a track that harks back to times when the future sounded like the future rather than the past (just don't tell anyone it's only six years old). Soho808's 'Get Up Disco' is exactly as it says - a gorgeous loose rhythm and sparkling melody - and the stark 'Fear of Numbers' by Footprintz rounds things out. Fabric 59 is almost in danger of being undermined - Jamie Jones has played it so obviously that it almost veers into parody, yet the final third of the album is so gorgeous I can't help but celebrate it. Fabric 59 mixed by Jamie Jones is out now, available from Amazon.co.uk on CD and MP3 [affiliate links]. BlackPlastic might have been able to keep a better sense of humour about this had we been able to get any genuine enjoyment out of listening to it. It nods along nicely enough and the Prince flavoured 'Summertime' is an early highlight that at the same time had us begging the question - why aren't we just listening to Prince? Mercifully, things improve towards the end and 'Absolute Zero' is a trip-hoppy number followed by the more jacking ʻGalactic Space Barʼ featuring The Egyptian Lover. As with anything more progressive, this benefits from being listened to front-to-back but in the same breath it doesn’t really work outside of the dancefloor, not that it would really be much fun on the dancefloor. It feels like a sampler for anonymous tech-house DJs. The fact remains however, that if you are a fan of this kind of stuff you'll probably like it. Maybe we don't understand, maybe we don't want to understand, maybe we take the wrong drugs or go to the wrong parties. It’s ok for what it is but frankly life’s far too short. Don't You Remember The Future is released on Crosstown Rebels on 7 September, available for pre-order on Amazon.co.uk on CD. Big love for this video from Jamie Jones. BlackPlastic carries a squidgy soft spot for Crosstown Rebels as it is - their brand of minimal is just far more interesting than minimal should be, which we like - and this video only makes us more gooey. For what is presumeably a small budget, independent project it's pretty lush. The track is also hot too - like a 2009 update on the electro bebop of old, it sounds like Afrika Bambaataa's 'Planet Rock' brought bang up to date. 'Galactic Space Bar' is taken from Jamie Jones' forthcoming album 'Don't You Remember The Future' out on Crosstown Rebels on 31st August.